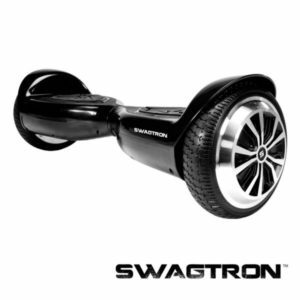 Get ready for a cool and snazzy ride with the all-new Swagtron T5. The Swagtron series which has created quite a furore world over with its chic design and innovative technology has introduced its latest model – the spectacular Swagtron T5. Swagtron T5 is the latest inclusion to the popular Swagtron self-balancing scooter series with all the cool features of the earlier models and some surprising additions too. 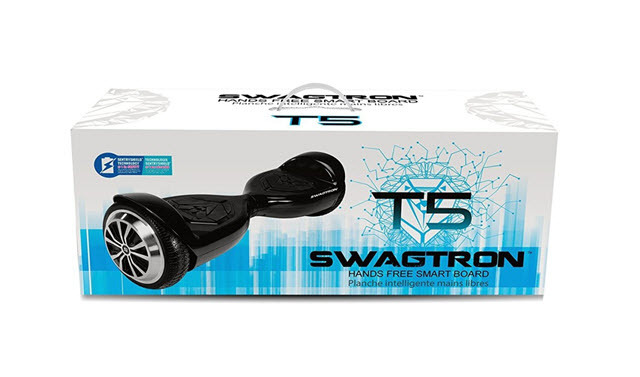 The T5 smart hands-free board stays true to the trademark Swagtron quality and technology that fans delight in. In addition to the usual technological features, the new T5 model outshines the earlier versions with its compact and reimagined design and a customized stylish emblem on both pedals. On the safety front, the company has made some really good improvements. The self-balancing type of scooter also known popularly as hoverboard is now bigger and fancier. With T5, you are sure to turn heads wherever you go. Just like its predecessors, the classic Swagtron T1 and the robust Swagtron T3, the T5 has its own set of flashy, tech-savvy and revolutionary additions that are all set to transform your outlook on travel. The new Swagtron hoverboard has the same gyroscopic technology as the earlier T1 and T3 models, which are really smart innovations in travel in recent years. The T5 is lighter compared to the earlier offerings from Swagtron. It weighs just 18pounds. Possessing one of the most robust structures, the hoverboard is made of finest quality components. In terms of safety, the Swagtron T5 has features that surpass industry standards, ensuring you have a safe and fun-filled ride all the time. And the T5 has been tested for emissions and is totally environment-friendly with zero emissions. With the escalating concerns on environmental pollution, using this hoverboard, while you commute inside campus or short distances in your neighbourhood will help you to contribute more towards making the environment safer. And the ease of use the hoverboard has makes it a breeze to ride on. You will have a great time on with the 7mph speed it promises. The speed, however, depends on how the weight of the rider. The maximum weight allowed is 187 pounds and the minimum is 40 pounds. The battery charge and driving surface and systems also influence the speed. For instance, if the battery charge is down, the speed gets hampered too. And you can’t have a ride without music, can you? The T5 just like the earlier models comes with Bluetooth technology, so you can hear your favourite tunes as you cruise on the scooter. 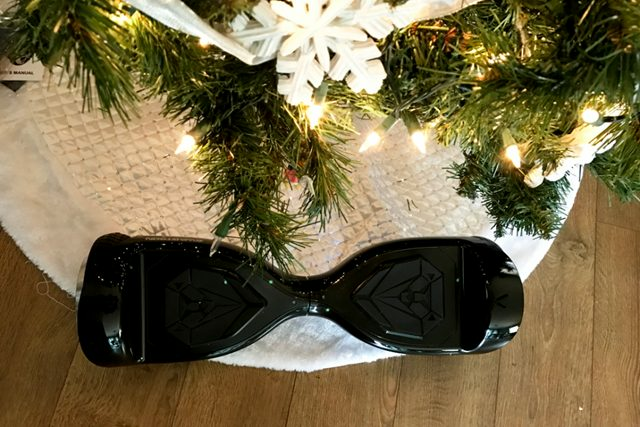 Other flashy additions that make the hoverboard special include LED headlights and trendy looking wheels. The T5 is available in black and white colours. 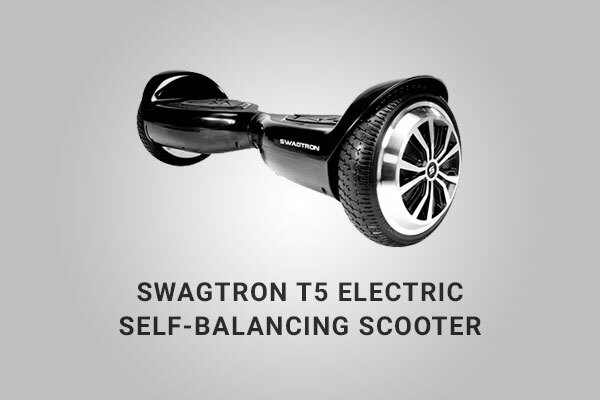 Swagtron T5 has been designed with utmost safety to the user. Despite being of negligible size this self-balancing scooter manages to provide excellent safety both in its quality cover material and the inner multiple layered battery protection. Made of polycarbonate which is fire resistant, the hoverboard guarantees that any danger from flames is well contained inside the shell without harming the user. And though it weighs just 24.3 pounds, it is sturdy. As in the T3 model, this version too has a smart BMS (Battery Management System). This technology is able to monitor the voltage closely so the battery is always at the right voltage. Any overcharging of the battery is identified by the system. Overcharging or short circuiting of the battery is avoided by this monitoring guaranteeing a safe cruise all the time. The Sentry Shield innovation further enhances the battery safety. The redesigned engine of double autonomous type and clear gear adjustments make manoeuvring the scooter an easy job. The solid body, stable gear management, and the 200 Watt motor provide great downhill traction and better control. The quad speakers with Bluetooth feature lets you listen to your favourite tunes as you cruise. 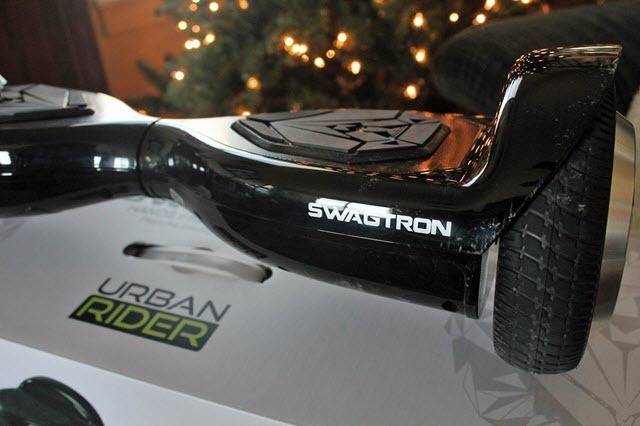 The Swagtron T5 product comes with UL 2272 certification, which indicates that the hoverboard has surpassed the expected safety level in its electrical components. Some new and favourable features in this design include rubber bumpers, learning mode and battery indicators. The BMS further helps in preventing the battery from overheating or failing. 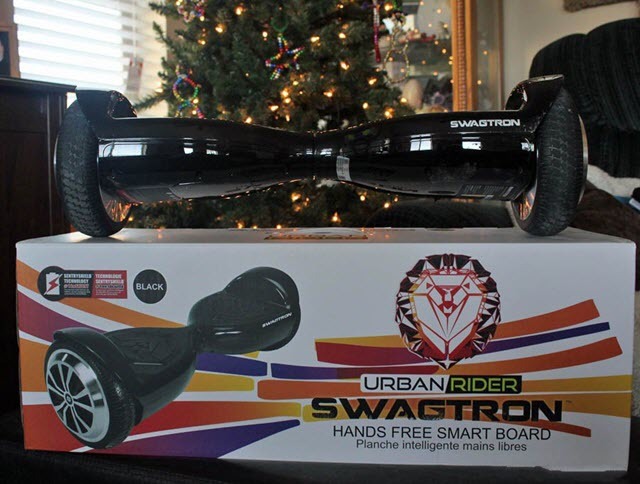 With every version, Swagtron keeps refining the design and elements added in the hoverboard making it the best ever model in its category in the industry. All three models including T1, T3, and T5 have been UL2272 certified and constructed with the utmost safety of the user in mind. Thus the self-balancing model is ideal for kids and adults alike. The Sentry Shield feature, Battery Management System, strong body and powerful engine and battery enhance the riding experience immeasurably. The fire and flame resistant design keep you safe from any risk of flames or blasts. Battery pointer with five levels. UL certified self-balancing scooters acknowledged by Amazon. Three modes of working for intermediate, advanced and newbie users are present. Like the earlier models, the T5 too is not water-resistant. Swagtron T5 provides multiple layers of security in the gear, battery, main board and the covering made of silicon ensuring dampness and warmth does not cause any harm. The smart battery management, sentry shield, and Bluetooth features are as good as ever in this model. The newer additions such as learning modes, rubber bumpers, and battery indicators further enhance the hoverboard’s secure technology. With simple and straightforward design, this affordable Swagtron T5 is a solidly snug, bold and affordable rider ideal for all hoverboard enthusiasts. Thanks for giving a very in-depth description of this product. Please read the instruction manual carefully. The Bluetooth instructions are in there. Does the white have a maximum weight of 22 pounds? I got my daughter one for Christmas. It failed after 2 hours. We sent it in for repair and waited weeks. After getting it back it won’t charger or even acknowledged it’s plugged in. After months she still hasn’t been able to use it. For something the typical perdson could use?